It feels so much like spring here, even though it is really still a few weeks away, but that’s okay we will definitely take it. When spring hits, I always get a little bit of spring decorating fever. Are you like me and want to repaint the entire house and change up all the accessories? 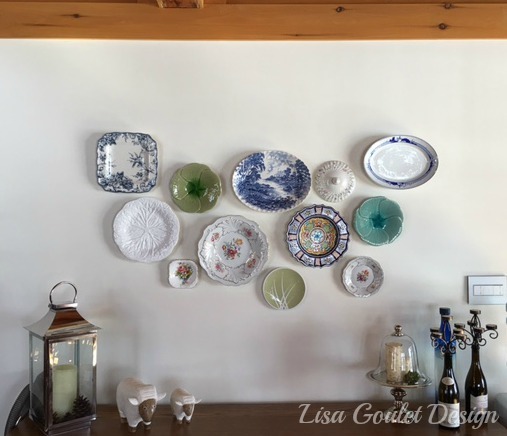 Well, the last few weekends I’ve kept myself busy redoing my dining room plate wall at our cottage. And I’m absolutely loving the results below. When we purchased the cottage, the wall looked like this. 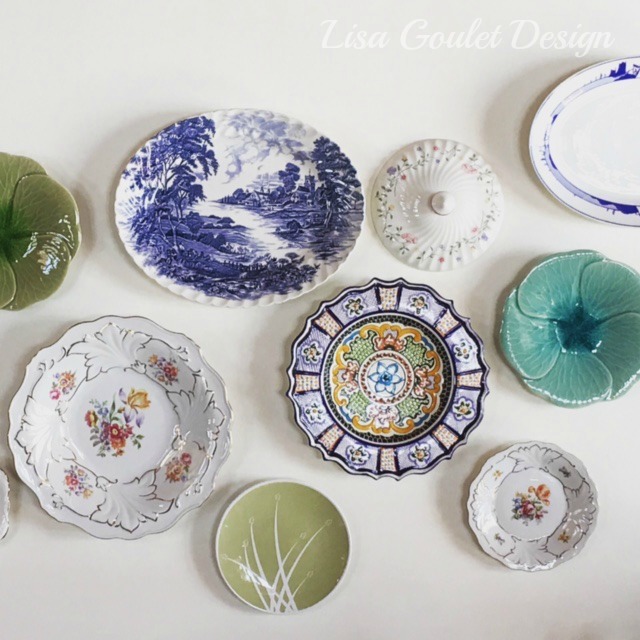 I loved the idea of decorating with plates, but I wanted to modernize it and give it more of a free flowing feel. 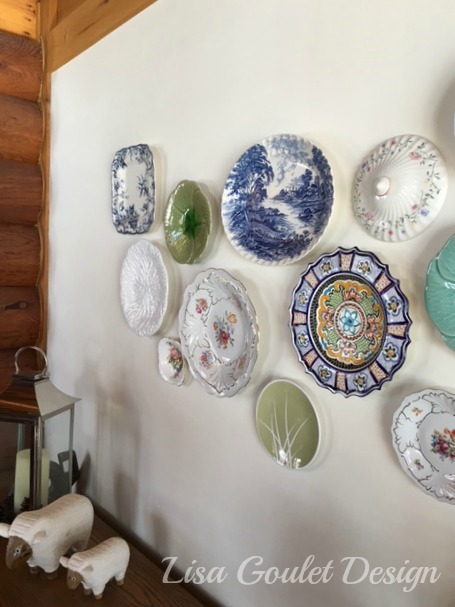 So here’s the step by steps on how to achieve your new plate wall. First off, I removed the plate rails and filled all the holes in the wall. Then after a quick coat of paint on this wall, I got started. 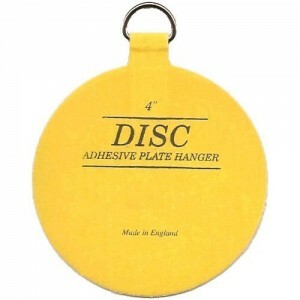 Oh yes, before I forget, I purchased these Plate Hangers from Ebay. 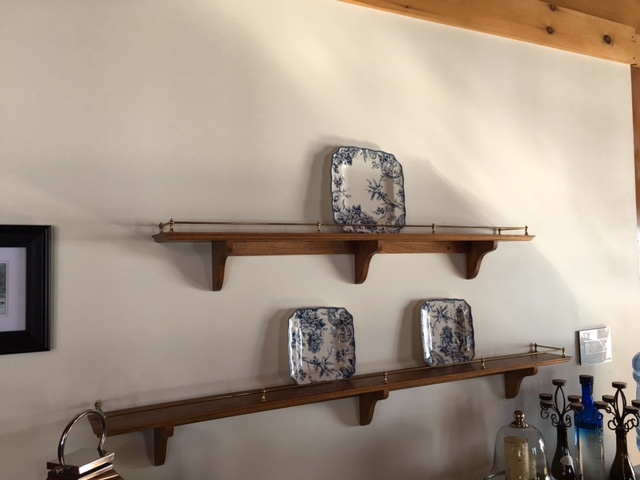 I didn’t want to use regular plate hangers as I wanted a more clean and modern look, but feel free to use whatever hanging method you prefer. 1. 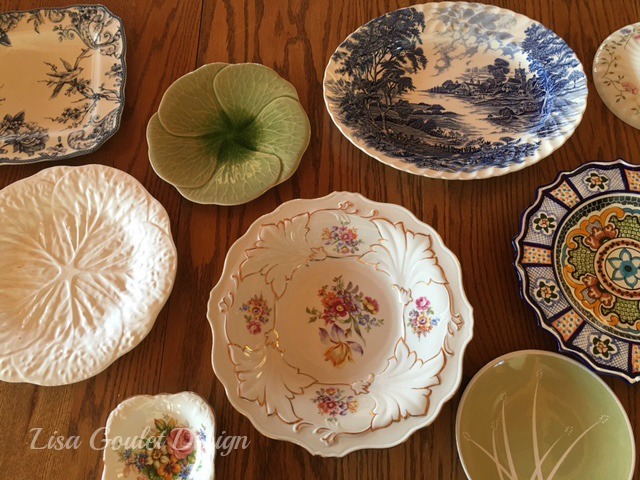 You want to gather all the plates and lids (I used one casserole lid that was minus a casserole bottom) that you would like to hang. 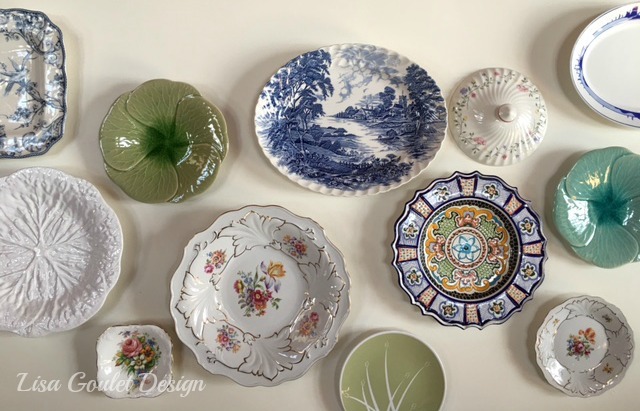 I would suggest keeping a somewhat cohesive theme, like I did with mostly blue, green, and white plates. But don’t be too rigid, a few surprises are always a good thing. 2. Measure out the width and height of the wall area that you are looking to cover. Once you have these dimensions, tape out these measurements on a flat surface, a table or perhaps the floor, and start playing with the plate placement. 3. Tips for plate placement – I placed the larger plates first and then added the smaller plates. I also tried to disperse similar colours evenly throughout. 4. Next, I cut out newspaper templates of each plate and labelled it with the plate colour. I then followed the instructions for the plate hangers and left them to glue on the backs of the plates overnight. 5. 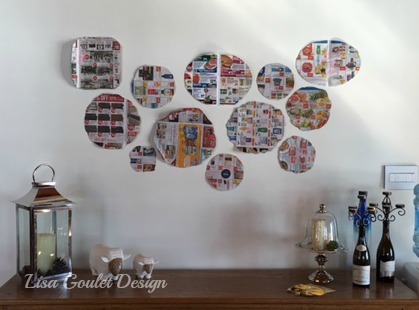 Mimicing the plate placement on my table, I taped the newspaper templates on the wall (with painter’s tape) and stood back. I adjusted them to ensure a fairly consistent space between the plates and kept standing back to see how it looked overall. 6. 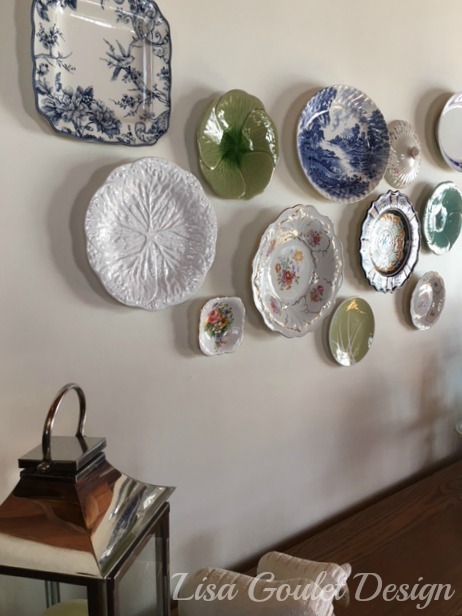 Once I was happy with the placement on the wall, I measured the back of the plate, from the hook of the plate hanger to the edge of the plate, and marked the corresponding measurement on the newspaper template, so that I knew exactly where to place the screw. 7. Once I had each screw in place, I removed the newspaper and hung the corresponding plate. I worked from the top to the bottom and it went really, really quickly. So here it is ALL DONE! As you can see, there is lots of room to grow. It is my perfect excuse to hit up the antique/vintage stores and garage sales this spring/summer to fill it all in.